To go with the rib-eye steak, I also made a side of sautéed green beans (also known by fancy types as “haricots verts”) with fresh corn. Apparently, the steakhouse Morton’s has a similar dish (but without the corn). First, cook the corn (e.g., remove the corn “hair”, pre-soak the corn in water, then put into the oven at 400 degrees for about 20 minutes) and then cut off the pieces of corn. Meanwhile, cut off each end of the green beans, and boil in water for about 4 minutes and then put in cold water to stop the cooking process. Heat up some butter over a pan, and then add the garlic and shallots. Next, add the green beans and corn, stirring for about a minute or two (until the dish is heated up), and then add salt and pepper to taste. Monday, October 3, 2011: Pre-quitting day. Went great with the steak. The corn filled in admirably for starches like rice or bread. 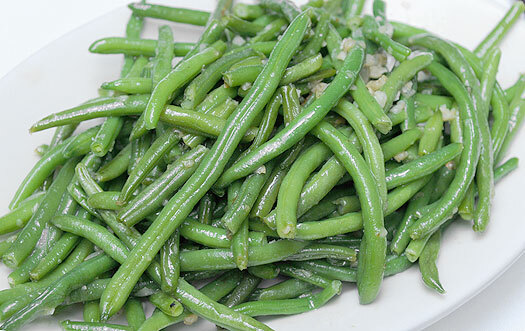 This entry was posted in Recipes, Side Dish and tagged Corn, Green Beans, Shallots. Bookmark the permalink.